‘Islamism’ is a word that refuses to die. Conceived by a group of French academics who have since disavowed their creation, it has been criticized by many on the Left and the Right. Yet it still appears in scholarship, the media, and political discussions, jostled alongside terms like ‘fundamentalism,’ ‘political Islam,’ ‘radicalism,’ etc., ‘Islamism’ seems to offer the possibility of distinguishing Islam, the religion of over a billion Muslims, from the actions and ideas of violent movements that act in its name. But this distinction, however desirable, is untenable. The scholars who invented the term decades ago are today the first to regret its use. The Iranian Revolution of 1979, greeted with optimism by intellectuals such as Michel Foucault, chilled more critical observers in France. A rising generation of anthropologists, sociologists, and other scholars noticed that the new regime in Tehran was not alone in its fusion of modern mass politics and Islam. Doctoral students and junior professors researching the Muslim Brotherhood in Egypt, revivalist groups in North Africa, and anti-Communist rebels in Afghanistan searched for a word that would allow them to connect and compare these disparate phenomena. In a series of articles that appeared in 1980 for the French magazine Esprit (known for its support for Soviet dissidents like Alexander Solzhenitsyn), a young anthropologist specializing in North Africa, Jean-François Clément, proposed the term ‘Islamism,’ drawing an obsolete synonym for ‘Islam’ out of the dictionary and remaking its meaning. 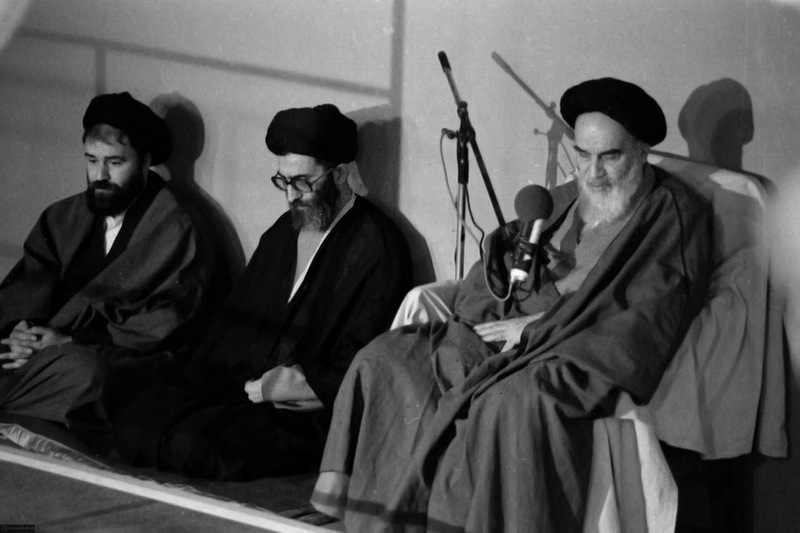 Clément chided French journalists who described the ayatollah Khomeini, leader of the Iranian Revolution, as a medieval fanatic. He likewise criticized scholars who characterized the ayatollah, the Muslim Brothers, or Afghan mujahideen as intégristes, the French equivalent of fundamentalists. These labels, Clément warned, offered false reassurance. Fundamentalist religious groups in the United States and Europe were minorities who self-consciously opposed modernity, communities that could be dismissed as anachronisms. The new political movements across the Islamic world, Clément insisted, were different. They aimed to create a powerful, modern Islamic state. The term ‘Islamism,’ as it was first understood, focused attention on the fact that violent Islamic political movements were not vanishing spectres from the distant past but powerful forces at home in the modern world. The word quickly spread. Over the following years, ‘Islamism’ would filter into French media and politics, and into the English-speaking world. There were ever more Islamic political movements to talk about, and their actions were ever more worrying from the perspective of Western societies. The appeal of the terms ‘Islamism’ and ‘Islamist’ to journalists and policy-makers struggling to understand a dangerous world is obvious. The words offered a way to describe, and to condemn, violence motivated by Islamic doctrines without appearing to criticize Islam itself. One can excoriate Islamism — a scholarly abstraction with which hardly any individuals or groups identify — while expressing respect for Islam and Muslims. In fact, French laws against ‘inciting hatred’ make it risky not to draw such distinctions. Charlie Hebdo, Michel Houellebecq, and Brigitte Bardot have all faced law suits or criminal charges for their comments about Islam. Clever antisemites in France, facing the same legal restrictions on speech ‘inciting hatred’ against Jews, have come up with their own distinction. Groups such as the Anti-Zionist Party attack ‘Zionism,’ which they allege is not just a pro-Israel political tendency, but a shadowy conspiracy whose members control the world’s banks and media. As the term ‘Islamism’ spread, Muslim advocacy and anti-racist organizations in France and elsewhere began to suspect that a similar trick was being pulled on them. Critics of Islam, they allege, condemn Islamism in order to give themselves plausible cover while they pursue their real target. This debate has echoes in the United States. The Council on American-Islamic Relations has long called on the media not to use ‘Islamism,’ which it says often means “Muslims we don’t like.” CAIR has itself been accused by critics of being an Islamist organization (and even labeled a terrorist group by the United Arab Emirates) and its arguments against the term are perhaps self-serving. Nevertheless, it has a point, and it is one that right-wing media outlets like Breitbart miss when they criticize CAIR’s stance. There are, in fact, no objective criteria for distinguishing between (bad) political expressions of Islam and (good) non-political expressions of Islam — or for arguing that the former is not really Islam at all. Religions are not just expressions of individual belief; they are claims about how society should be organized, and they are institutions that organize it. Religion is political — and Islam, in which theology and law go hand-in-hand, perhaps especially so. The French scholars who popularized ‘Islamism’ realized for themselves the futility of trying to distinguish a specifically political form of Islam from Islam itself. Clément now regrets the term he created. He wishes that he had come up with a word that “had no relationship with Islam,” some term that the media and politicians could not have used as a euphemism for Islam or a cover for anti-Muslim sentiment. Of course, even words that have no semantic reference to Islam, like ‘terrorism’ or ‘radicalism,’ are associated with Islam in the public mind, and for obvious reasons — a fact that has led news organizations like Al Jazeera and the BBC to avoid even these terms. Other French thinkers who brought ‘Islamism’ into common use in the 1980s, such as Olivier Roy and Gilles Kepel, found more serious problems with the term. By the 1990s, Roy and Kepel, now France’s pre-eminent experts on Islam (and bitter rivals) had noticed a paradox. Islamic political movements, when they came to power, failed to achieve their utopian goals and — notably in Iran and Afghanistan — devolved into uninspiring authoritarian states. Yet the intensification of religious fervor, led by ostensibly non-political Salafist and Tabligh groups, continued unabated across the Islamic world, including among immigrant communities in Europe. For Roy this was a sign that Islamism was over; in 1999, he buried the notion of Islamism and claimed that revivalist Islamic organizations in France were part of a new phenomenon, ‘post-Islamism,’ which he optimistically predicted would create “its own space of secularism.” True to this logic, Roy now argues that the recent wave of Islamic terrorism in France is not an expression of long-running conflict rooted in the political movements formerly known as Islamist, or the result of French Muslims falling under the sway of radical (albeit officially non-political) Islamic groups. Rather it is “a generation’s nihilistic revolt”: alienated youth who use Islam as a pretext for their aimless violence. Like Roy, Kepel had also predicted the “decline of Islamism” as a political movement in the late 90s. Today, he argues that he and others who developed Islamism as a concept failed to understand that the difference between political and non-political religious movements is vague, if not illusory. Supposedly post-Islamist religious groups whose leaders eschew formal politics are “in fact political: they provide the social basis on which a political reality will be built.” Those who desire the “re-Islamization of society,” by whatever means, are really positing a political goal, and they inspire both political movements and violent radicals. Kepel thus rejects Roy’s explanation for Islamic terrorism and communitarian tensions in France, which he sees as particularly troubling expressions of a vast religious movement. The scholars who created the concept of Islamism over thirty years ago now reject it. While each has reasons of his own, rooted in the specific concerns of French scholarship and politics, their essential problem is one that intellectuals and policy-makers throughout the world share. It appears critical for academia, media, and governments to distinguish Islamic movements and individuals that pose a threat from Muslims in general. The distinction, at first glance, may seem easy and common-sensical, a matter of identifying a small minority. Yet as scholars, journalists and politicians seek to distinguish this minority from the majority of the world’s Muslims, they also feel the need for a label that can link the ideologically and geographically diverse Islamic groups that pose a threat to the West. The two aims, unfortunately, are at cross-purposes. The intellectual collapse of Islamism reveals that criteria common to various dangerous movements, such as politicization or religiosity, are also shared by far larger numbers of Muslims who have nothing to do with them. Concepts like Islamism seem to offer an objective solution to an agonizing dilemma, but they can do no more than disguise it. Thanks. I was about to say the same. Foucault was wrong in many ways, but not that way. It’s really a great link. A useful reminder how powerful postmodernism really is in deconstructing social behaviours. It’s like a dissection to the last bone, the last tendon, the last muscle of a body. I don’t think anything really comes close in terms of efficiency in the entire field of Humanities. Most probably it’s because PoMos have no affect to their kin, so no matter how symbolical an event can be, they will split each and every connective tissue until there’s nothing left of the original body. Take the most sacred bond between humans, and they will cut it open, and calmly lay bare each and every part, as blood is pouring out from the operating table. As much as I despise PoMos, they are insanely good at their jobs. The problem comes when they want to put things back together again. It’s Malevolence Incarnate. I’m a staunch atheist, so without a doubt, the closest archetype to PoMos is Lucifer. I think the grouping of “Islamism” is a bit different, as it does seem all encompassing of those who are of the Muslim faith, rather than distinguishing fundamentalist Muslims from the rest. I don’t trust Wikipedia to present information without spin any longer, so the full text is much more preferable. Every single person I have ever interacted with who used the term “Zionism” espoused anti-Semitic ideas. Every. Single. One. Evidently, ironically enough, you Jonathan. I don’t rabbit on about Zionism like the anti-Semites, of which there are distressingly many, but when I need to express my disappointment about Israeli attitudes to other people’s lands and well-being Zionism is the correct term. There are plenty of anti-Zionist Jews. Waving the “anti-Semite” flag every time someone criticises Israel actually encourages anti-Semitism, because it makes reasoned criticism impossible. “Every. Single. One.” Of course – that’s because you define “anti-Semitic ideas” to include “opposition to racist violence by Jews”. Ever heard of Hasidim? They’ve been around long enough to understand that nations are mortal. The word “Islamist” has a useful meaning: Someone who believes that legitimate governmental authority can only come from religion, and Islam in particular. That is indeed a problem for Western societies, since such people can never see Western laws as legitimate. It’s a problem worth talking about. What other word can we use? Some use the term “political Islam.” As to many the religion puts forward about 15% theology and about 85% the complete system of every aspect of life which includes politics and laws on how things like how unbelievers should be governed in various legal scenarios. Unlike other faiths there is not a clear division between church and state. Some argue that the faith should only be spiritual and stay out of politics but those tend to be minority voices within Islam who receive many threats for their moderate position. Have I read this correctly? ‘No clear division’? Why would you want to find a clear division if the original purpose was to have none? Why do western educated individuals can’t read the Quran, instead of claiming they have? Why? What benefit do you get from this? An “Islamist”, according to the usual definition of the term, is an Islamic fundamentalist; in other words, someone who believes in the fundamentals of Islam. Islam is not a religion but a politico-religious cult that does not recognise any distinction between its teachings and the rules by which a society should be organised and governed. As Erdogan has said, the term “moderate Islam” is offensive to Muslims. One is either a Muslim, or one isn’t. The intellectuals can tie themselves up in linguistic knots all day long. The problem is Islam, which, as a code, is entirely incompatible with Western values and traditions. The vast majority of Muslims despise those traditions and values and have never been known to tolerate them once they achieve sufficient numbers in a community to give them the confidence to impose their beliefs. Likewise, all the different groupings and conflicts within Islam are merely variations on the theme and are just another distraction. To pick out the tiny minority of sophisticated, Western-educated Muslims (who usually express poorly defined “moderate” views of their culture and how it might co-exist with the West) in the hope that they may represent some sort of reformist strand of Islam is to delude oneself about what is going on. I think Sam Harris put it well… ” The fundamental problems with Islam are the fundamentals of Islam”… Or something like that. If you had read the Quran, you wouldn’t actually drown in your own BS. Islam is the state. There’s no other valid reading of the Islamic scriptures. As per anti semitism, Islam is anti Semite. That’s the reason it was created, expel the Jews from the Arabian peninsula, remember? Islam is not a binary, but a complex monolithic mess. Not helped by the deceptive (deceitful?) rhetoric common in the religion itself.The charge of mistaking Islam for a monolith is often laid at the feet of the non-Muslim West, but it is really the result of how Muslims play the game of Islam. British born Pakistani heritage men, with no Arabic links other than Islam, feel compelled to join ISIS because of what they see as a monolith of ‘Muslim lands’ (no matter that Christians, Yazidis and any other remnants of other minorities might suffer). White ex-Christian converts to Islam too see the Ummah as a monolith. It doesn’t really matter that Muslims have been killing each other for a long time over sectarian squabbles – it is important, after all, that if you are going to be a Muslim you should follow the one true Islam that is the specific Islam of the other Muslim that kills you for failing to do so. The echoes of 500 year old Christian sectarianism still resound enough to make sure the similarity is not lost. Burning at the stake was as barbaric as any modern day throat cutting and beheading. Speaking of one true Islam, the Ahmadis seem to get it from all directions. You’d think that they of all people would find their claims to the one true Islam ironic. But that there could be one true Islam is itself a monolithic claim. More ‘enlightened’ Muslims in the West, like Mehdi Hasan, don’t help. He plays the game of a somewhat liberal minded democratic secularish Muslim … but he can plead for the poor blighted name of monolithic Islam as well as any other right after an Islamic terror attack. Islam first. Everything else is an after thought. That is the big sugary monolith of Islam. The ‘diversity’ is the sticky icing on the cake. Diversity as long as it’s Islamic diversity. The only cherry on the cake is reformist Islam, but as inviting as that may make it, a strict diet would serve us all better. Islam is by its own definition (as many religions are) a supremacist ideology. A political judicial religious supremacist ideology. That’s the Islam that counts. That’s the Islam that has power, and reach. The many decent humanitarian peaceful Muslims are along for the ride. They are not so much part of the problem, as not part of any solution. They are often an unhelpful distraction, and motives are often difficult to distinguish from those of ‘Islamists’: persuading British MPs to join in #HijabDay as opposed to supporting the freedom of Iranian women with #NoHijabDay, has the touch of Islamist Linda Sarsour about it. It’s difficult to discern Islamism from plain Islam – and as Recep Tayyip Erdoğan has been keen to point out, perhaps we should not. A book that reveals how political islam operates in the west was recently released. It outlines many issues which I have not heard reported previously. It was written by a former Canadian military intelligence officer. He’d been a Sr. UN attache for the prevention of genocide and an advisor to the (former) Canadian Prime Minister Stephen Harper. One section I remember was about how the media miss key details because they don’t vet their sources properly. For example the press might ask a respected member of the muslim community if the muslim brotherhood operate in Canada. The person says, “no.” So the journalist presents that as evidence that this group is not operational. Others cite this too. All is well. But the journalist didn’t realize that their source was listed as a member of the muslim brotherhood on it’s own website and was trained by well known teachers of that group. It’s well known that this group operates with a political agenda and intermittently uses terrorism to achieve the same goals. This same source on further investigation for example may be found to have led an organization listed by the FBI as an unindicted co-conspirator in a case where Islamic charities operated as front groups for the funding of Hezbollah or others. The charity was shut down but no charges were pressed. Some of these respected individuals then find their way into government positions of power. Then they start to prioritize a very specific political agenda. Publicly shaming critics as racist while carefully testing the waters to see how far can be pushed without notice. One minister of immigration openly meets with a group who states it’s goal is to increase Canada’s population from 35m to 100m. Thinkers from the same group argue that it’s a myth that there’s any risk to drastically increasing the population of muslims. This same MP appeared to have removed references to female genital mutilation being a “barbaric cultural practice” as noticed in a leaked draft of the new citizenship guide. It appears he would have been successful had it not been for sustained and focused resistance from an opposing party member. He claimed that the draft wasn’t final while also arguing that the previous government failed to adequately consult with all relevant Islamic groups. He meant of course, that it was racist to not act according to the opinions of those who wish to follow the Hadiths many interpret to mean forcibly cutting young girls clitorises off. I wrote this blog post on how the West came to underestimate the political ambitions of radical Islamic organizations post-9/11 as a response to this post.